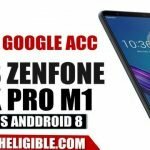 This latest method would help you to Bypass FRP ASUS Zenfone 4 Selfie, and also on many other ASUS Zenfone android 7.1.1 devices, in this method we can easily add new google account just by installing “Google Play Services” application, so follow below all steps carefully, each and every step has been described very well. This method is only for DEVICE OWNER. 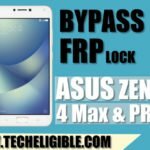 5-Click here for ASUS Zenfone 3 FRP Bypass Method. -Tap on “Setting icon” from top right corner. -After that, tap on “Talkback”, and then turn it on, after that tap on “OK”. -Now you will have “Talkback Tutorial” screen. 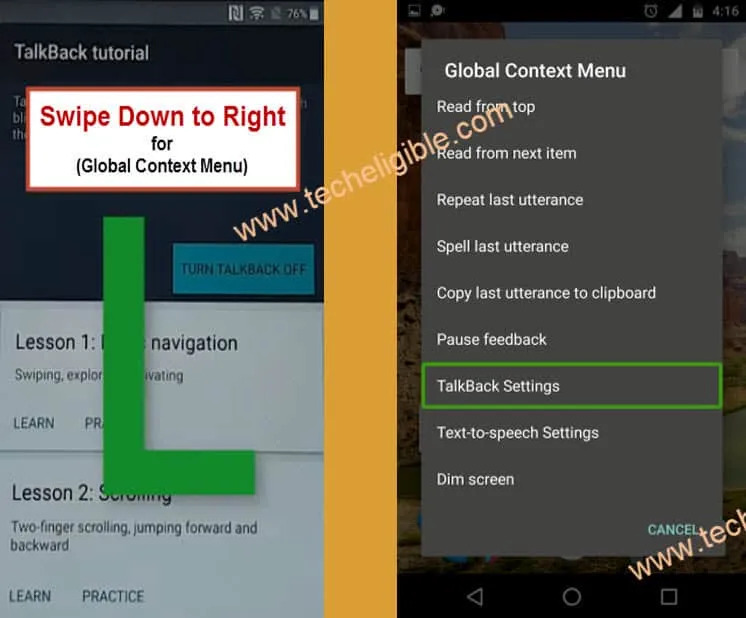 -Double tap on “Talkback Settings” from global context menu. -Once you enter in “Talkback Settings” screen, now we have to disable talkback. -By pressing both (Volume UP + Volume Down) keys together, disable your talkback feature. 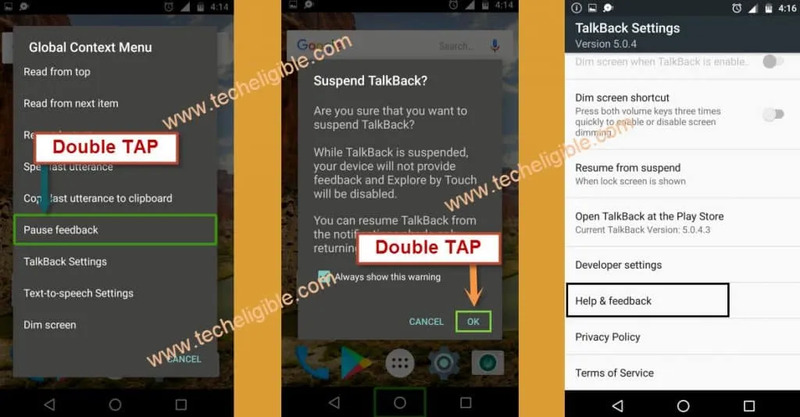 -After pressing volume keys, you will get popup of “Suspend Talkback”, just tap on “OK”. -Go to “Help & Feedback”, and then tap on “About switch access for android”. -Now you will have “Youtube Video” on your screen. -Just tap on “Play icon” on youtube video, and wait for few second until you get “Youtube Video Title”. -After that you will be able to see “Youtube Video Title”, just tap on that title “Switch Access for Android”. -Now you will be redirected to the “Youtube Page”. -Drag down youtube video, and then tap on “3 Dots” or “Profile Image” from top right corner. -Tap on “Terms & Privacy”. -Now you will be redirected to “Chrome Browser”. -Type in search bar “Download Frp Tools Techeligible“. -After that you will get “download frp tools” page on your very first search result, just tap on that. -Scroll down, and download from there “Google Play Services” app. -Once you successfully download “Google Play Services” app, after that you need to download another app. -Wait until downloading finish, after that you will have popup bottom of your screen, just tap on “OPEN” from that popup. -Now you will get another popup on your screen, that’s regarding “security”, just tap on “Settings” from that popup. -Go back to “Download Page”, and download again “Go Launcher z“. -Now wait until downloading finish, after that tap on “OPEN” from bottom popup. -For installing “Go Launcher” app, you need to tap on > Next > Install > Open. -Congrats, now you have successfully launched “Go Launcher”, and you have accessed to your device “HOME SCREEN”. 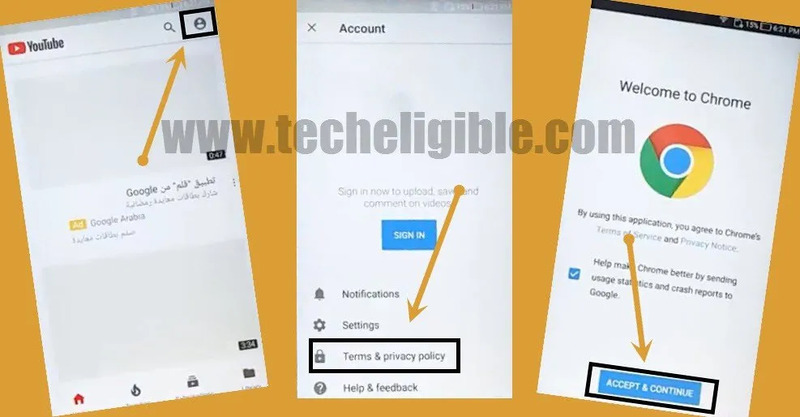 -Now we have to disable “Device administrator”, for that follow below step. -Go to > Settings > Security > Device Administrators > Find My Device > Deactivate this device administrator. -Go back to > Settings > Apps. -Tap on “3 dots” from top right corner, and then select “Show System”. -We are going to clear data, and disable google account manager. -Go to > Google Account Manager > Storage > Clear Data > OK.
-Tap on “Back Key” from top left corner. -Now tap on “Disable” button to disable google account manager. 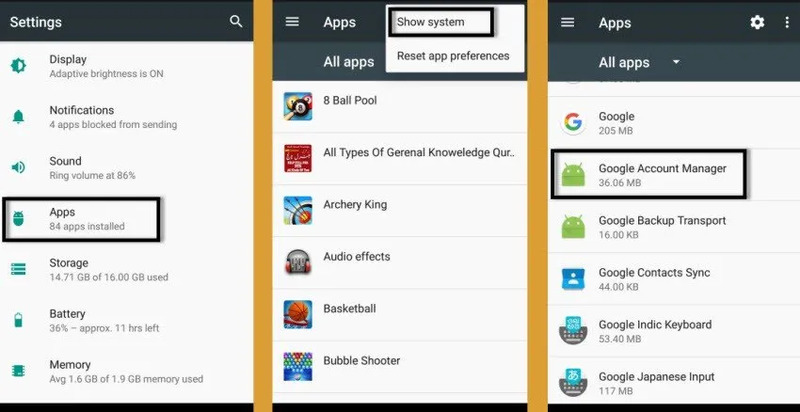 -Go back to “Apps” to disable google play services. -Go to > Google Play Services > Storage > Manage Space > Clear Data > OK.
-Tap on “Back Arrow” from top left corner. -Now tap on “Disable” button to disable google play service app. -Tap on your downloaded apk file “Google Play Services”. -After that tap on > Next > Install > Done. -After that, go to > Accounts > Add Account > Select “Google”. -Sign in with your any valid Gmail id to Bypass FRP ASUS Zenfone 4 Selfie. -After that, by going to > Settings > Apps, you have to enable app (Google Account Manage + Google Play Service). -Complete initial setup to access ASUS Zenfone home screen. 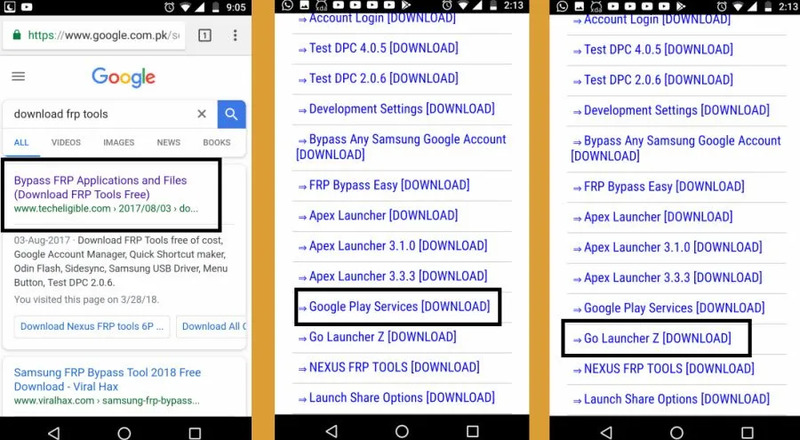 -Now uninstall “Google Play Services” app that you installed previously to Bypass FRP ASUS Zenfone 4 Selfie. Congrats, you have successfully bypassed google account from your ASUS Zenfone device. Thanks for visiting us. This is broken at the moment, when I click on the link to download go launcher z it downloads nova launcher instead please fix this asap! Also do I need to install Google Play services or just download? You guys are life savers! Your help is greatly appreciated! You guys are brilliant thanks again for the help with this amazing phone!!! Thank you very much, could you mention your successfully frp remove device detail here? OMG! You don’t know how you help me… So, thank you a lot!